Richmond, Va. — The Virginia Department of Transportation (VDOT) released the draft Request for Proposals (RFP) for the Interstate 64 Hampton Roads Bridge-Tunnel (HRBT) Expansion Project. The draft RFP contains instructions to short-listed firms for developing individual approaches to best deliver the HRBT Expansion Project as a design-build contract under the Public-Private Transportation Act. The Draft RFP is available to short-listed firms and the public for comment at www.p3virginia.org/projects/hampton-roads-bridge-tunnel-2. The release of the draft RFP follows the May 9, 2018, Transportation Public-Private Partnership Steering Committee’s determination that the procurement approach serves public interest. The next procurement steps will involve reviewing potential alternative technical concepts during the summer and fall of 2018, issuance of the final RFP in fall 2018 and awarding the contract in early 2019. The project team anticipates receiving technical and financial proposals by the end of 2018 and selecting the winning proposer in early 2019. Construction is expected to begin in 2019 and reach completion in 2024. The HRBT Expansion Project will build a new bridge-tunnel adjacent to the existing HRBT, and widen the four-lane segments of I-64 in Hampton and Norfolk to ease daily congestion between the Peninsula and South Hampton Roads, a corridor vital to Virginia’s economy, military readiness and regional connectivity. Traffic on the HRBT’s existing four lanes exceeds 100,000 vehicles per day during peak summer traffic. The current project planning estimate is between $3.3 and $3.8 billion, which will be refined as the scope is more fully developed. The majority of project funding will be provided by the Hampton Roads Transportation Accountability Commission, with federal support and other public resources anticipated. Once completed, the expanded HRBT will become part of a future regional network of Express Lanes, as presented to the Commonwealth Transportation Board in July 2017, with free lanes remaining available to all motorists at all times. 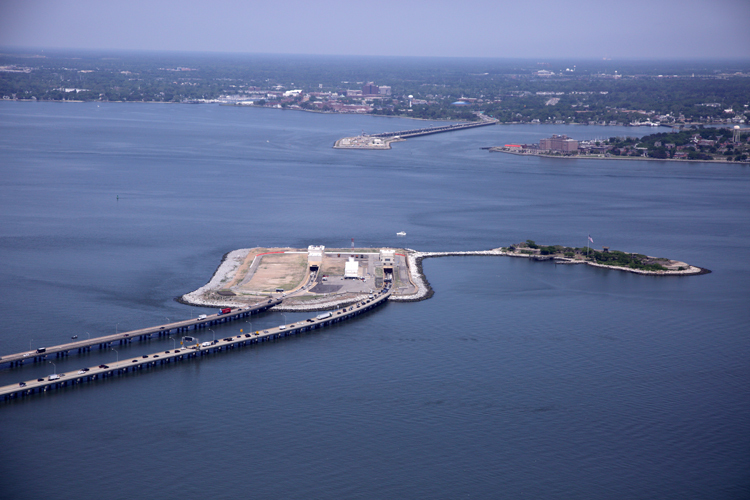 Further information about the HRBT Expansion Project is also available at: www.HRBTexpansion.org.